If you have your heart set on a purebred puppy for your next family member, you have a few options available to you. Although purebred puppies are sometimes available for adoption via shelters and private rescue groups, you will more often find mixed-breed puppies or adult purebred dogs. If you must have a purebred puppy, your best option is to find a reputable breeder who is dedicated to raising healthy, temperamentally sound puppies of their chosen breed. Locate a breeder by finding the national breed club for your dog and inquiring about breeder referrals. Find the national breed club for those breeds recognized by the American Kennel Club. If your breed isn’t listed on the AKC website, simply Google the breed name and “national breed club” or “national breed association” to find the desired breed’s organization. Here are nine great reasons to buy a purebred puppy from a responsible breeder. If you’ve never owned the breed before, a reputable breeder can counsel you on what to expect and help you decide if the breed will be a good match with your family and lifestyle. Good breeders aren’t in it to make a sale—they will never pressure you into buying a puppy if the breed is not a good fit. Reputable breeders follow the breed standard, which is the written description of the ideal physical and temperamental characteristics of the breed. The breed standard describes big details like coat length, color, height and weight, as well as important minutiae, including such details as shoulder layback, eye shape and gait (the way the dog moves). The breed standard is why Poodles have curly hair, Dachshunds have long backs and short legs, and Bullmastiffs are big and powerful. These details are not arbitrary, nor are they only for looks. The characteristics outlined in the breed standard keep a purebred dog true to its roots—capable of doing the original job is was intended to do, whether that’s herding livestock, hunting in the field, dispatching vermin, or guarding the home. Responsible breeders use pedigrees to research their breeding dog’s relatives, going back many generations to find the best possible matches that will produce healthy puppies that are good representations of the breed. When you buy from a reputable breeder, you can meet the puppy’s mother (called the dam), and often, other relatives. If the father (called the sire) is on the premises, you can meet him, too. If not, the breeder will provide pictures and/or video, and can share the father’s pedigree. Meeting the puppy’s parents and other close relatives will give you a very good idea of how you can expect your puppy to look and act when he grows up. Responsible breeders want to produce the healthiest dogs possible. They are acutely aware of the genetic diseases common in their breed, and perform specialized health testing on their dogs before breeding them so they can avoid breeding dogs who might pass on faulty genes. This means the puppy you buy will have a higher chance of not developing a genetically linked disorder. Reputable breeders are so concerned about their dogs’ health that they offer health guarantees. The terms of each breeder’s health guarantee will vary, so ask for specifics when inquiring about a puppy. In general, health guarantees might state that if the puppy develops a disease covered by the agreement, you will either receive a refund on the price of the puppy, receive a replacement puppy, or the breeder might contribute a certain amount of money toward the treatment of the puppy’s health issue. All puppies are different. It can be impossible for you to guess if an individual puppy in a litter will grow up to be assertive or mellow, high energy or laid back. Good breeders know their breed and know their puppies. They will help match you with the best puppy for you and your family. Good breeders care about their puppies even after they leave their home. 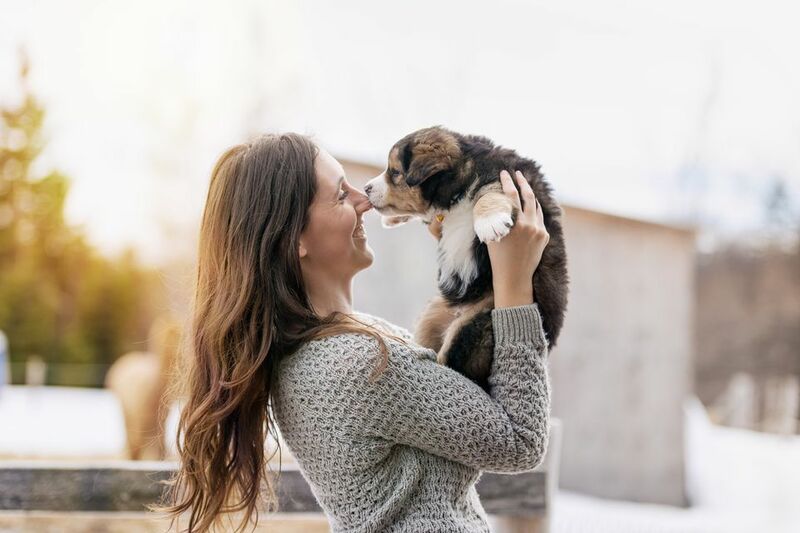 A reputable breeder will encourage you to stay in contact with her, and offer advice throughout the puppy’s lifetime, including about health, grooming, training, nutrition, and behavior. A good breeder feels responsible for what happens to the puppies they produce. They don’t want their puppies to ever end up in an animal shelter, or worse, on the streets. Reputable breeders will almost always take a puppy back, for any reason and at any point in the dog’s life. If one of your family members develops an allergy to the puppy, or you ever find yourself in dire straits due to a divorce, job loss, health crisis, or any other reason, it’s comforting to know that your breeder will be there to help you by taking the puppy back or assisting you in rehoming him.